Our cruises offer stunning views of London from our luxury boats, view the sites of London without the hussle and bustle of the crowds. 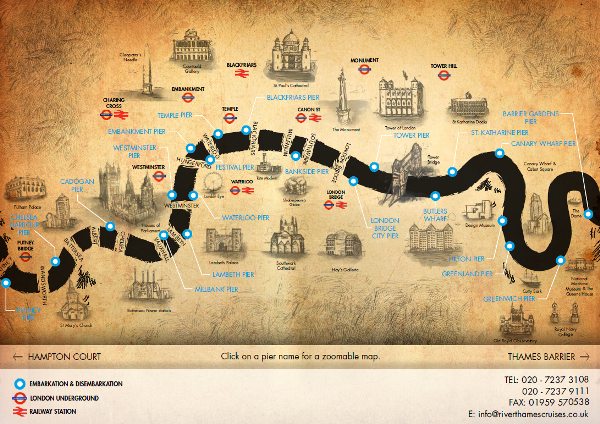 The following map shows the route, piers and the key tourist sites and attractions you can see on a River Thames Cruise. Our thames cruises depart from a number of piers on the River Thames, giving you the opportunity to choose the cruise that best suits your preference of sites and attractions in London. Take a look a the full range of Thames Cruises available to book now.